Yesterday afternoon I received my favourite sort of mail - fabric mail. 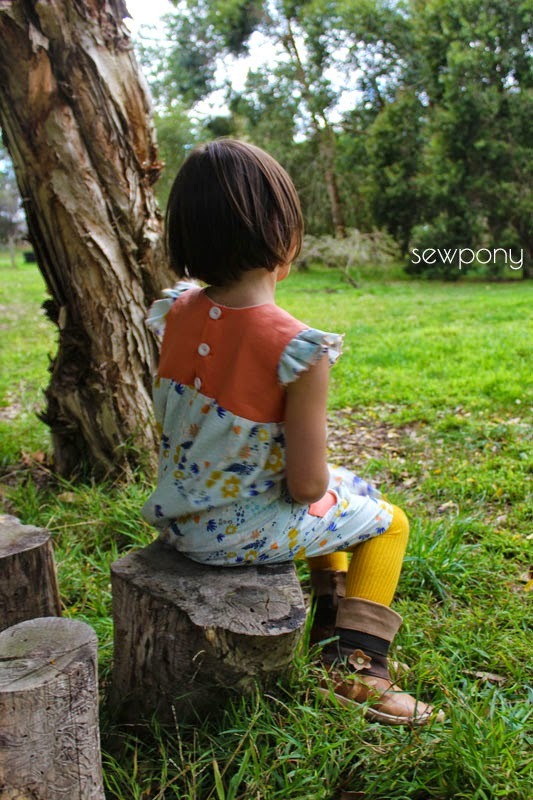 Last week I ordered some fabrics for Emily's big girl quilt and filled up my cart for same the postage rate with fabrics for lovely dresses or whatever I pleased. 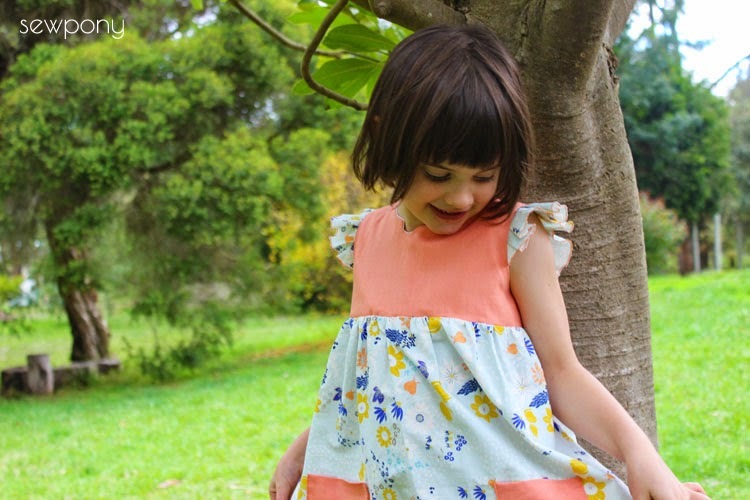 I let Juliette and Issie choose a fabric each from Leah Duncan's range and Juliette chose this beautiful blue floral so I madly sewed up this dress last night for Juliette's birthday - which is today! Five years ago today, Juliette Catherine came into the world to join our little family. She has been so pumped for her birthday this year and had a little party this morning with all her lovely kinder friends and cousins. Such a sweet bunch of kids and they all had a ball. 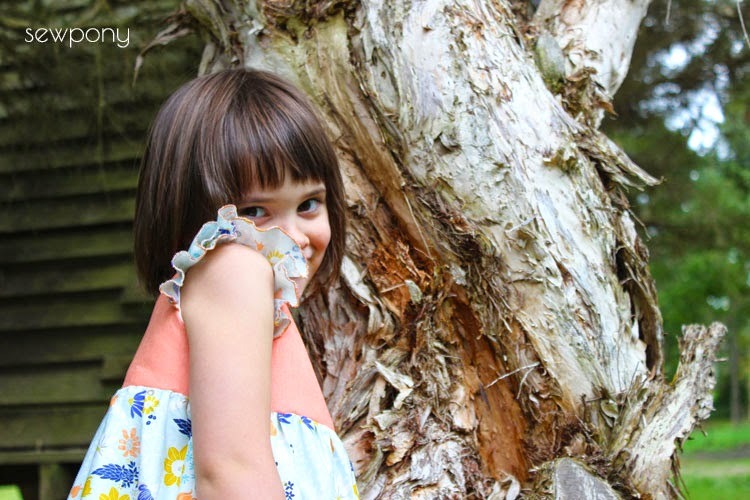 She loved her new dress and did not want to take it off for the hanger photo above. I bribed her with a leftover mini cupcake and she was happy. 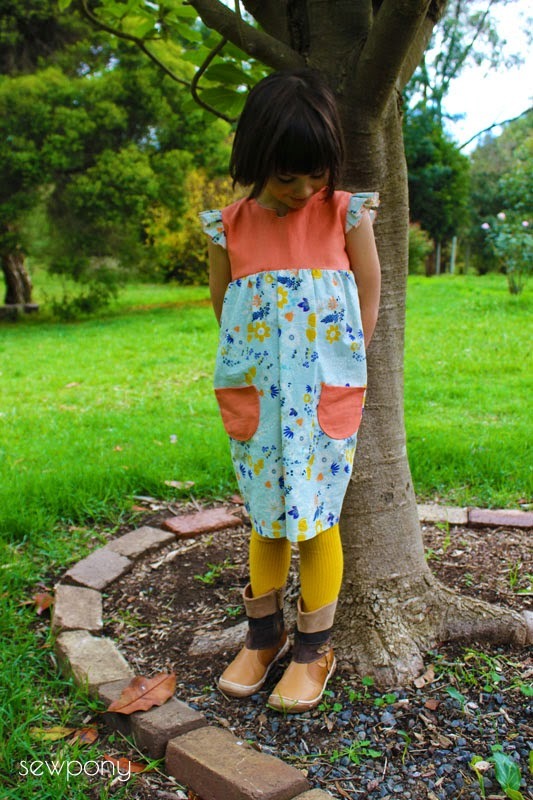 The pattern is the Geranium dress by Made by Rae which I have made a few times before and know always turns out well. 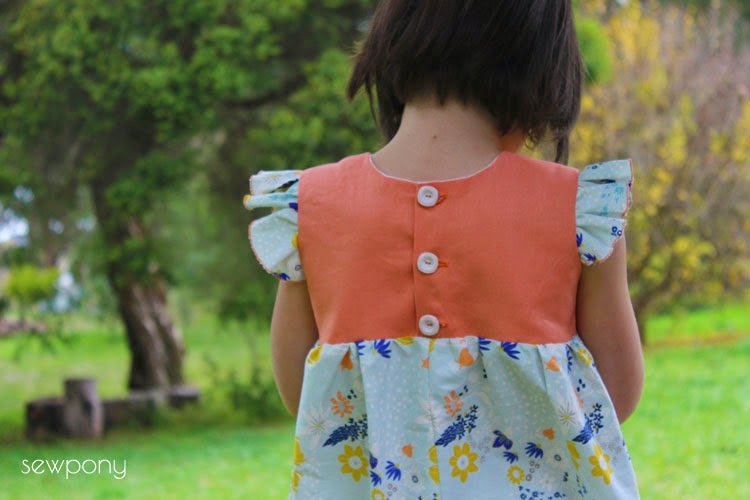 The fabrics are Central Park in Breeze by Leah Duncan and the bodice is Essex linen in mango by Robert Kaufman- both from Hawthorne Threads. I was able to order 9.5 yards of fabrics for the postage of $24 so the parcel worked out to be more economical than buying in store over here. Both fabrics are beautiful. I love the textured look of the linen and the leah duncan floral is super soft. 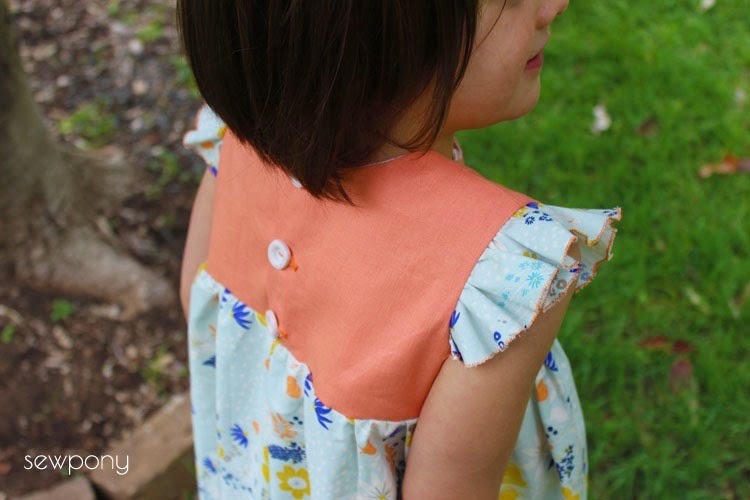 I love the shape of the flutter sleeve pattern piece - it looks a bit like a snail coiled up. It creates a fluted type sleeve. HAPPY FIFTH BIRTHDAY SWEET JULIETTE!!! Gorgeous birthday girl, beautiful fabrics, lovely dress :) Cupcakes, hey? Such a pretty dress, Suz. And happy birthday Juliette! A lovely dress for the lovely birthday girl! Thanks girls. She had a lovely day! 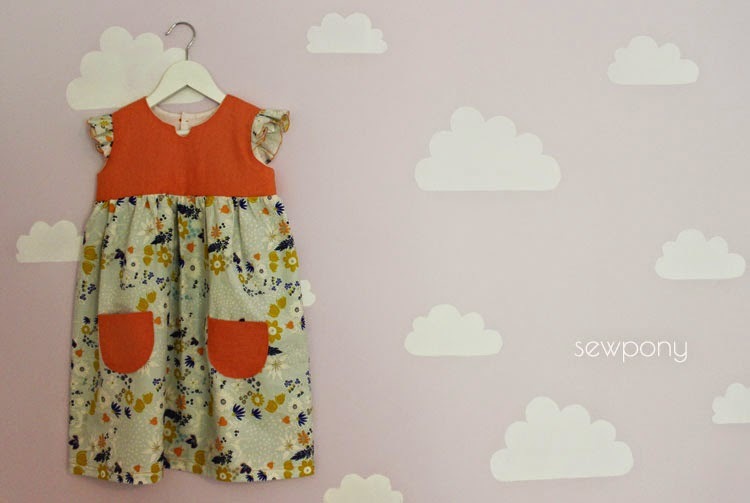 A beautiful dress for a beautiful girl! Happy Birthday! It's really a beautiful dress!